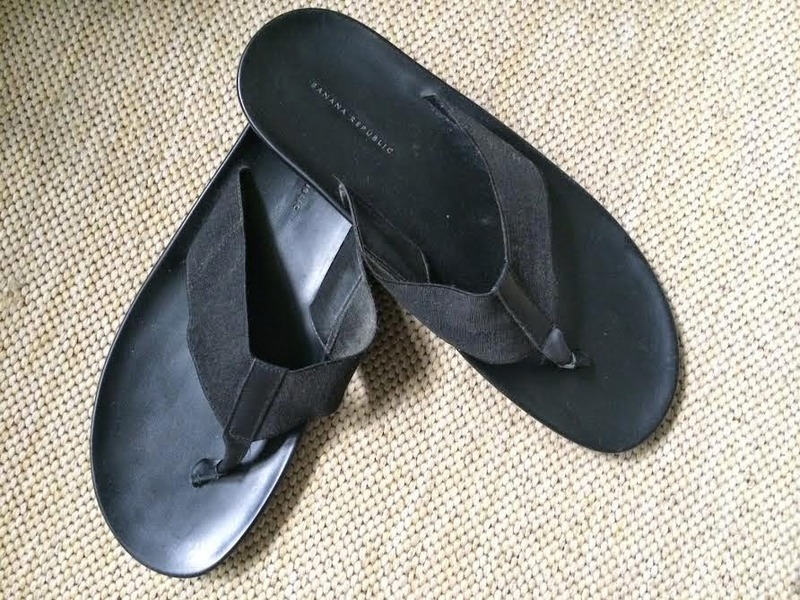 After seeing this, it got me thinking that I truly love flip flops. Well, I may need a 12-step program because I have an addiction. I don't think there is a time that I go to the J. Crew Outlet that I do not walk out with a pair of flip flops. 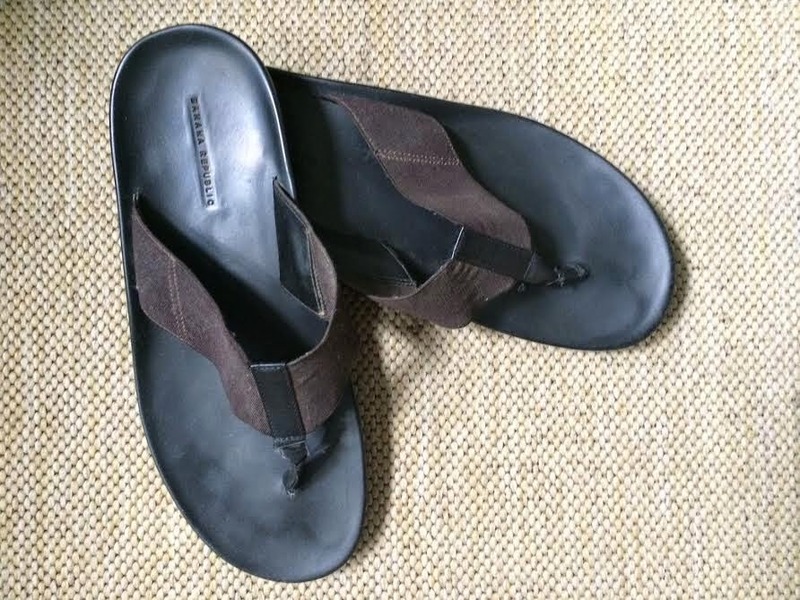 My very favorite pair are khaki-colored Havianas. Every year, I purchase a black pair, brown pair, and gray pair. I wear them all the time even as house slippers. These Southern Tide ones are dressier. 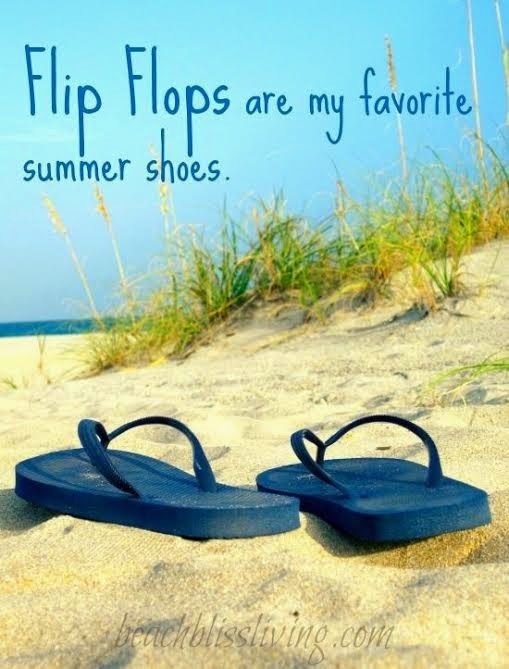 There is nothing better than a summer in flip flops. Which of my pairs do you like best? Do you have a fave pair of your own? I'm right there with you!!! I prefer shopping for flip flops over any other shoe (probably cause I lived in Boca for 17yrs!!) My JCrews are some of my favorites as well. Life is just better in flip flops! 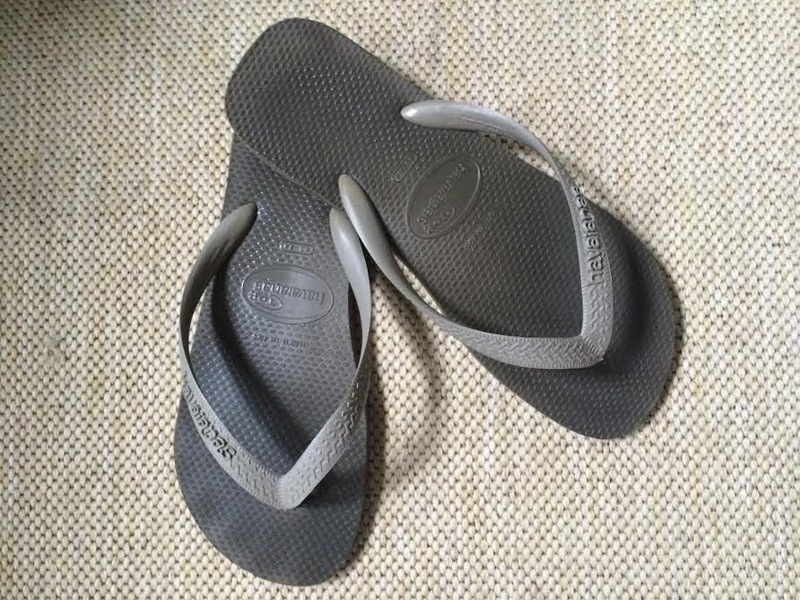 I am in flip flops all summer too...in fact as soon as the weather starts to get warm, I pull out all my pairs! I like the J Crew but I also like the Crocs flip flops because they are contoured and give my ugly feet a little more support. Well you do have quite the collection of flip flops! It's about all I wear in the summer also! I usually buy sketchers as they have such great support for my poor fallen arches! 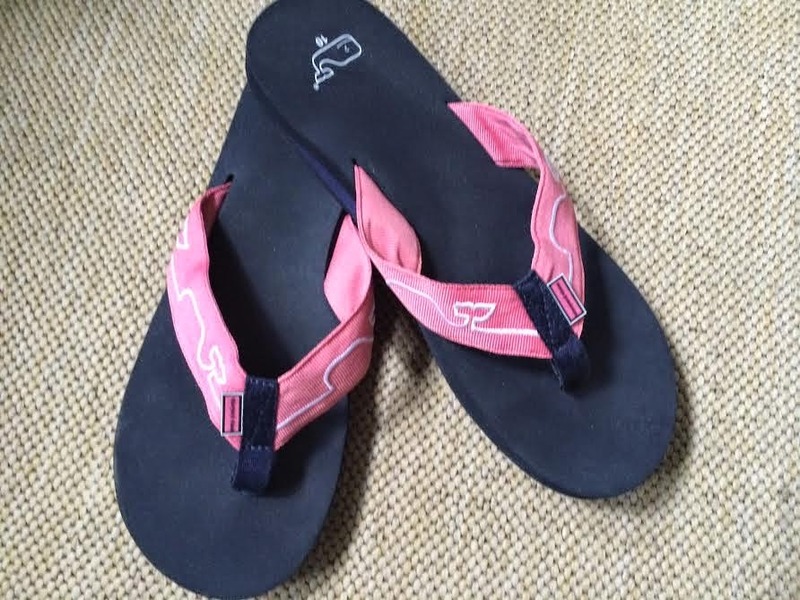 Summer time = flip flops! Ha...I knew we were kindred spirits. If I have to wear shoes...it is flip flops (or my comfy boot in wintertime). I love the ones I got at Whole Foods made by Feel Goodz. I'm right there with ya Ron...I live in flip flops all summer long even into the early part of Fall! 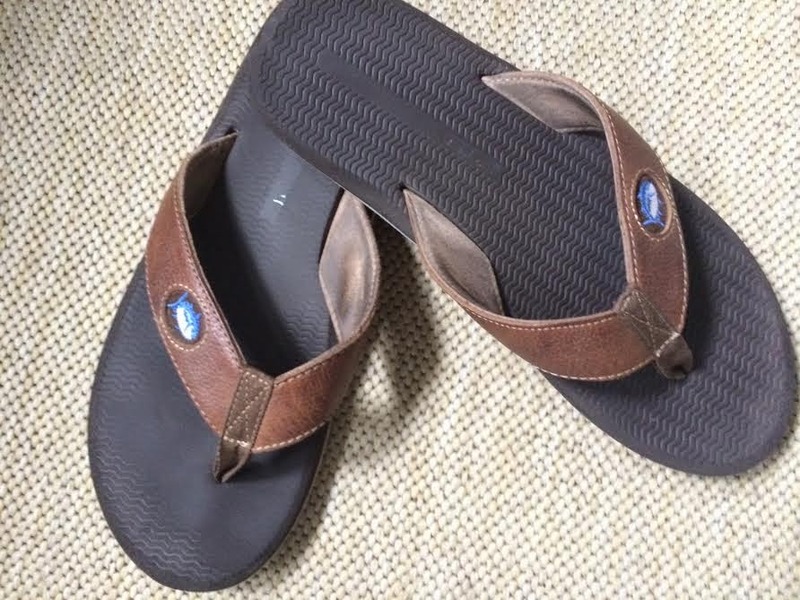 Havianas are my favorite...I have a few pairs with a different kind of rhinestone in the middle...a friend of mine use to make them. Hahaha.. were you listening in on my conversation last evening? J.Crew, American Eagle, Hollister. 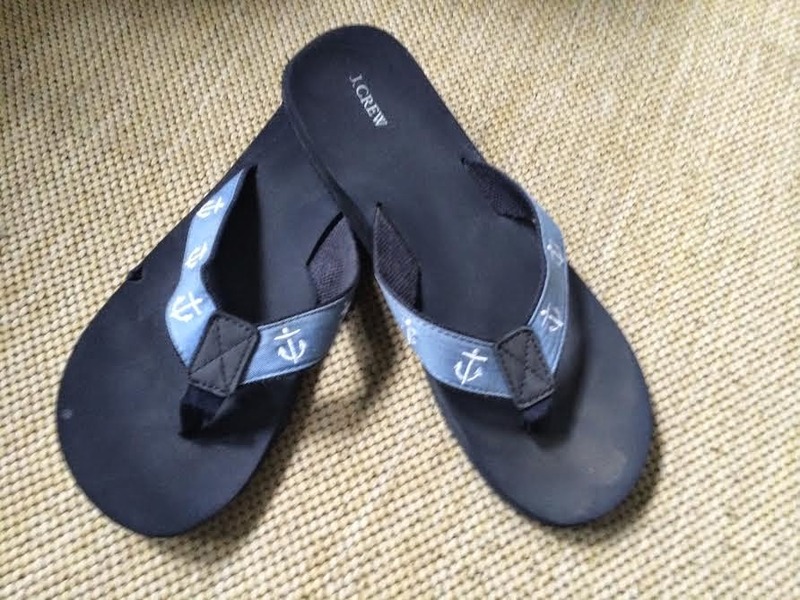 My Mr and eldest live in flip flops and boat shoes in the summertime. My youngest, not so much. 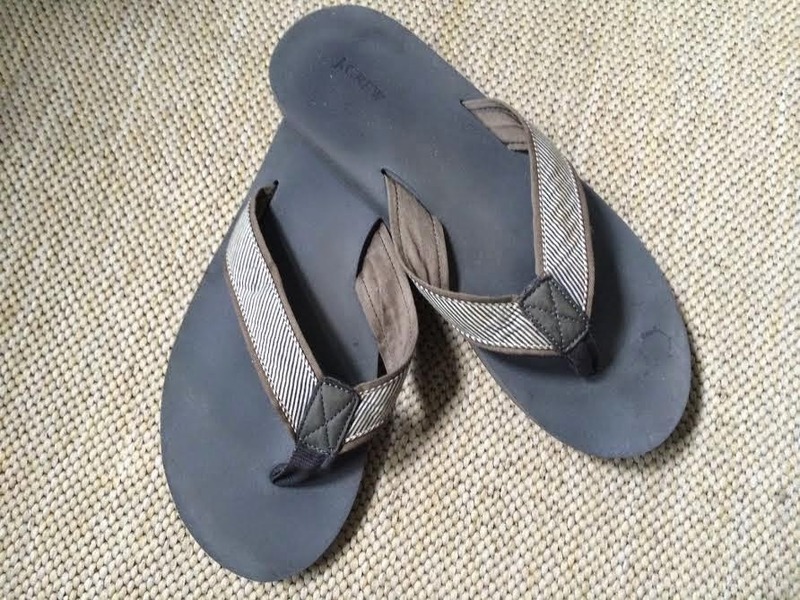 I am all about a nice flip flop for a relaxed casual style in the warm weather. Mine have rhinestones on the straps for a bit of girly bling! LOL - I love flip flops, too, Ron! I like all of yours. I thought I had an addiction, but you have more pairs than me. I did just buy a blingy pair with have a bit of a wedge to them. Great to wear to work and try to get away with not having them be considered flip flops because of the bling. : ) I also like to have black ones because they seem to go with everything. I'd like brown, but never seem to find a flattering pair. I also wear mine as "slippers" in the morning and at night. 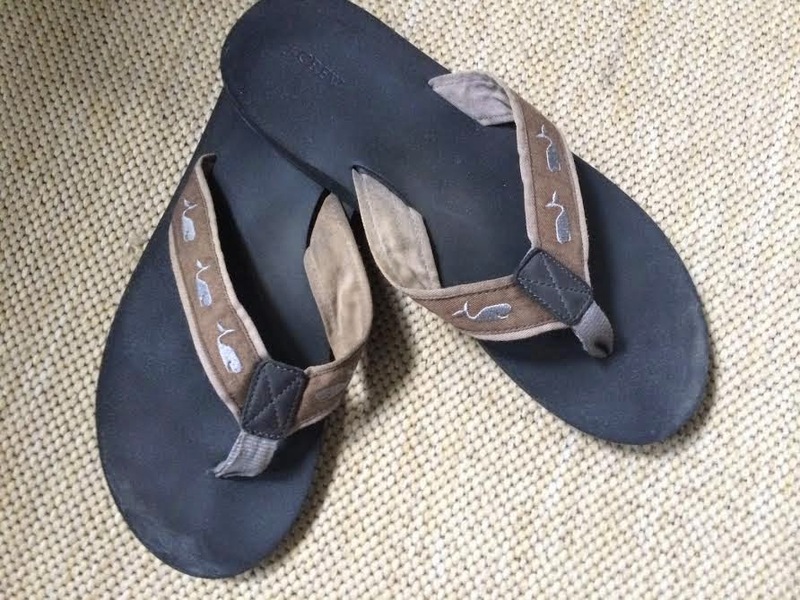 You really do have a lot of flip flops! I love them too and that's all I wear during the summer also. I keep them in a basket so I can choose which pair I want to wear each day. 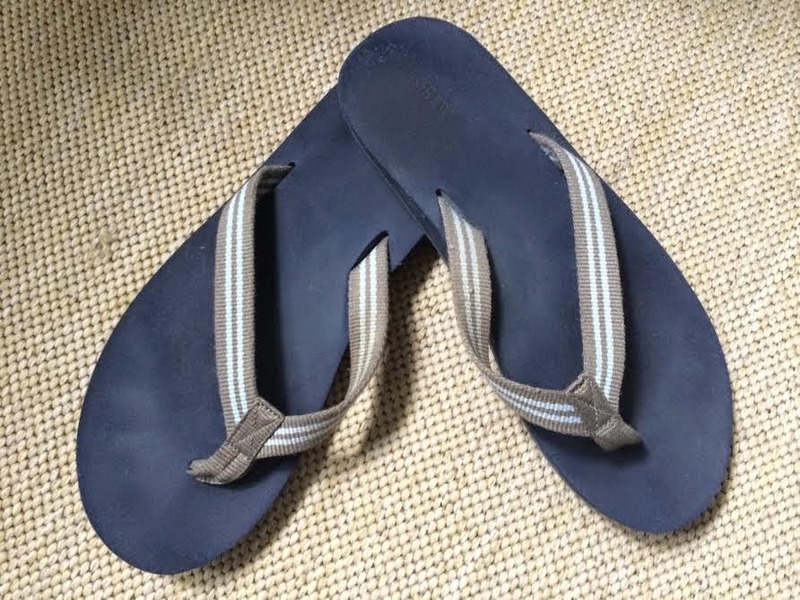 I like the leather ones you have and the grey with blue stripes pair. That is a wonderful flip flop wardrobe! I'm actually not supposed to wear them any longer because of foot issues, but I do have one pair that I truly enjoy! 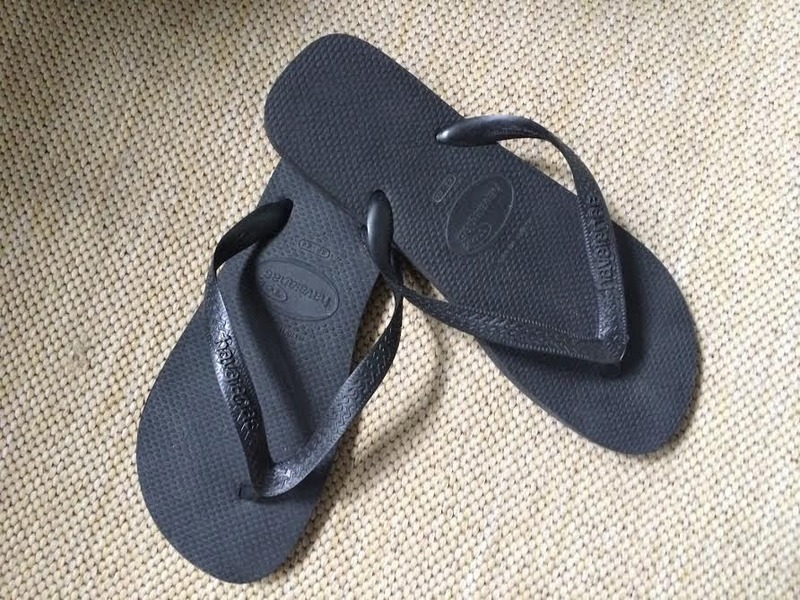 I could cry each year when it gets too cold for flip flops! My absolute favorites are my Sanuks. They are made out of yoga mats. I buy the same pair year after year in all colors! 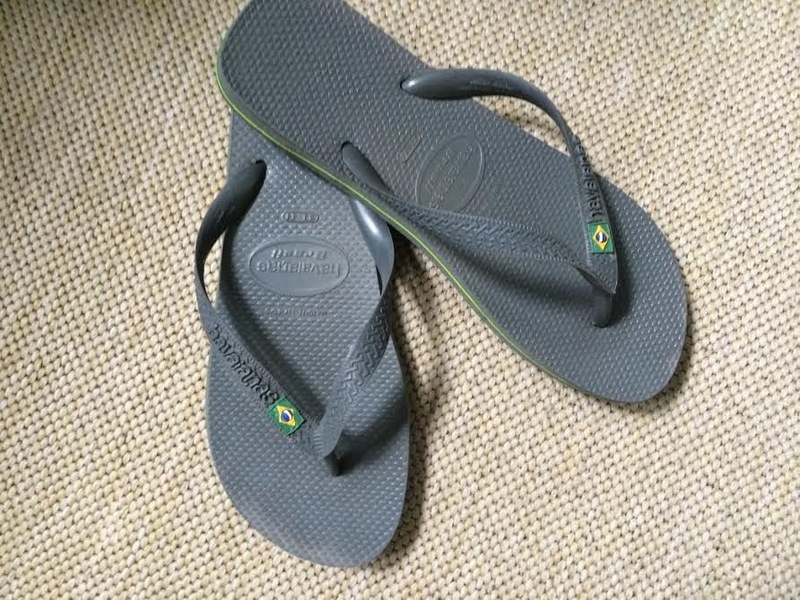 I am with you on the flip flops! Wish I could wear them year round. I actually hate wearing socks too. In Annapolis there is a spring ritual called "Burning of the Socks" ....big bonfire and you throw your socks in. It's common for guys to not wear socks except on snow days! !